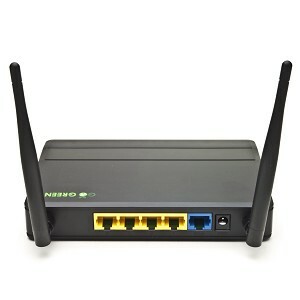 It delivers a wireless data rate of up to 300 Mbps thanks to IEEE 802.11n technology! 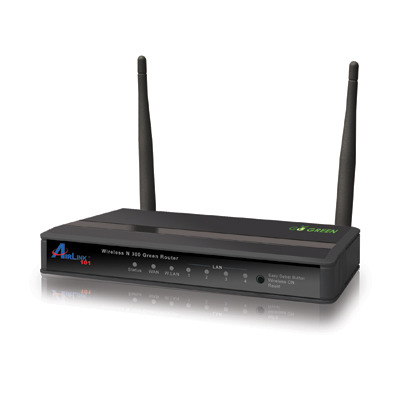 The AR686W is equipped with four 10/100Mbps Ethernet ports and features NAT + SPI firewall to keep your wireless communication secure. In addition, its energy saving green technology helps reduce power consumption! 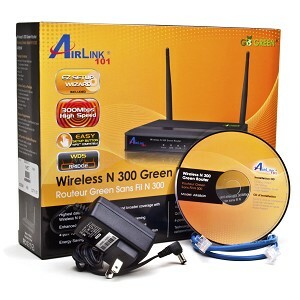 For a wider coverage and continuous connectivity, this AirLink 101 Wireless N 300 Green Router includes two 1.8 dBi external antennas! 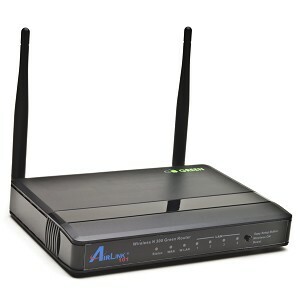 Plus, the AR686W is compatible with 802.11b and 802.11g devices!